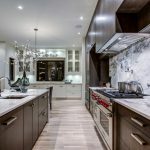 Kitchen renovations present huge opportunities creating a more attractive and useful space, though they need to be done properly. Small mistakes can derail large renovation projects. A rushed design, blown out budget, wrong appliances or any other missteps can turn your renovation into a stressful and often costly process. Consider these common renovation mistakes that homeowners make when designing a kitchen. It is never recommended to embark alone on to a kitchen renovation. If you have any questions, contact Bow Valley Kitchens today. Don’t forgo small storage additions or rush to finish a design because you are excited to get the installations started. Small design additions like drawer dividers, pantry pullouts, door shelving, and more can be the keys to your kitchen offering adequate storage space. Adding these later can be much more costly. Your kitchen needs set pathways and a natural flow. Consider the busiest kitchen areas like sinks, island stoves and fridges. Make sure each of these aspects offers easy access and departure pathways. Consider the kitchen “work triangle” and how you sink, fridge and stovetop will work together. Don’t settle for less countertop space for larger appliances or cabinets. Your countertops are essential in food preparation, and entertaining. Your countertop space can be extended with corbels or shelving supports. Make sure you kitchen renovation does not cut away your countertop space. As a minimum, consult a kitchen designer with your ideas, design concepts, and installation plans. Professionals are able to help tune and complete your designs and can go through your build plans to make sure you aren’t violating and bylaws and won’t hit any other setback. For the least stressful and labor intensive projects, let a professional handle all your resourcing, permitting and building needs. Homeowners can run into the issue of having dust, debris materials and even paints from kitchen renovation spill into other rooms of the homes. Protect floors, walls, and surfaces with plastic wrap and cushioning if required. Professionals can make sure that other aspects of your home are not impacted or damaged at all during the renovation project. Renovations are exciting. Once homeowners start seeing how they can change and improve their space, it can be hard to narrow the scope. Don’t let your excitement push you past your previously set budget. Decide fully in the scope of your project as an initial renovation design step. What is the main goal of your renovation? Do not forget this when considering how you will alter small aspects to complete your renovation’s “big picture”. Each alteration you make should feed back into supporting the main purpose of your project. If your appliances will be replaced in the renovation, make these selections first. 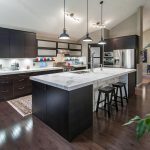 It is far easier to design custom countertops and cabinetry around appliances than it is to find an appliance that perfectly fits into the building space. The last thing any homeowners want is to struggle to find the perfect appliance to complete their project.